The seeds are just starting to form in the outer edges of this sunflower head, while the individual disk florets in the center are still developing. I absolutely ADORE this photo Ellen. Its full of varying shades of beautiful colour and amazing texture. Really stunning, and I mean a real Stand-Out! Well done! Wow, thank you, Liz! I originally had “texture” in the post title, but couldn’t seem to make it work, LOL, but that was what really struck me about the flower head. That is stunning, Ellen! It kind of looks like a top down view of s very yellow straw hat. Thanks, Pete! Interesting observation about the hat–I like that! Exploring Color called my attention to this picture when I commented that a photograph of a mushroom looked to me like a downward view of a round hat. Very nice of Liz to point you my way. Thanks for stopping by, Steve. 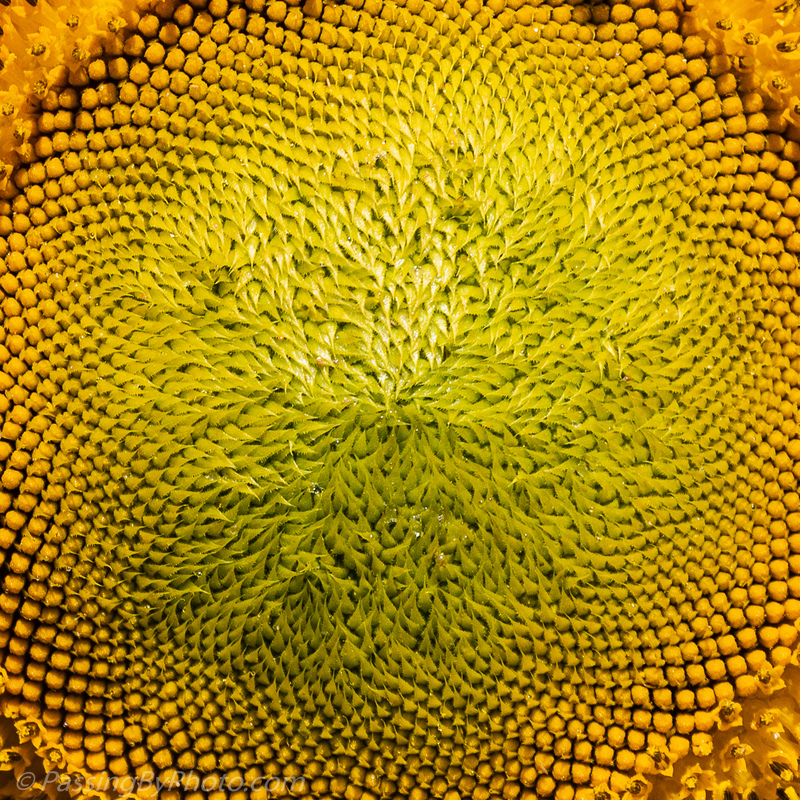 What clarity you’ve retained in this view of a sunflower. This flower head was a great subject. Glad that you liked it. I am, another example of nature’s fascinating perfection. Thanks for sharing!